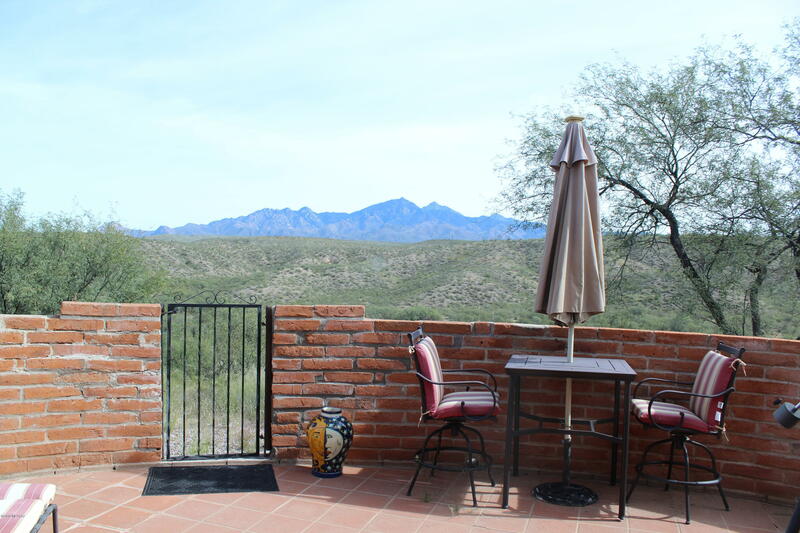 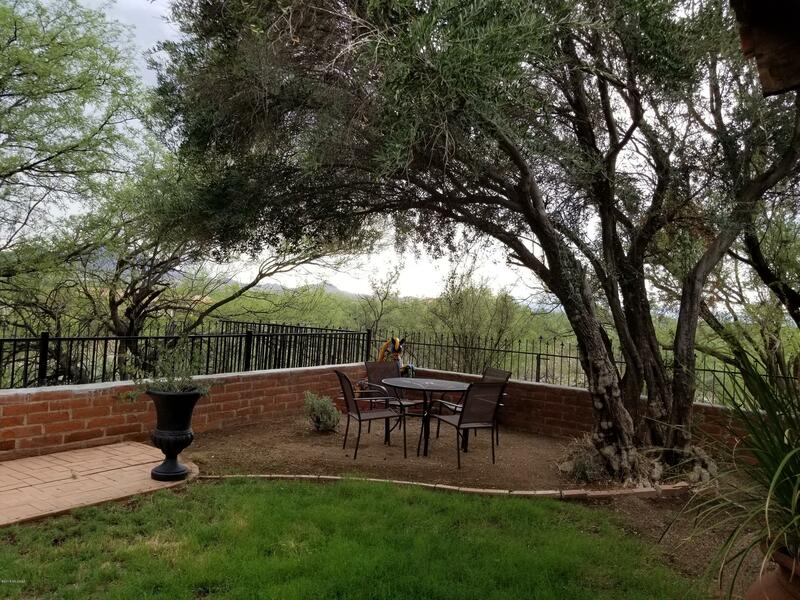 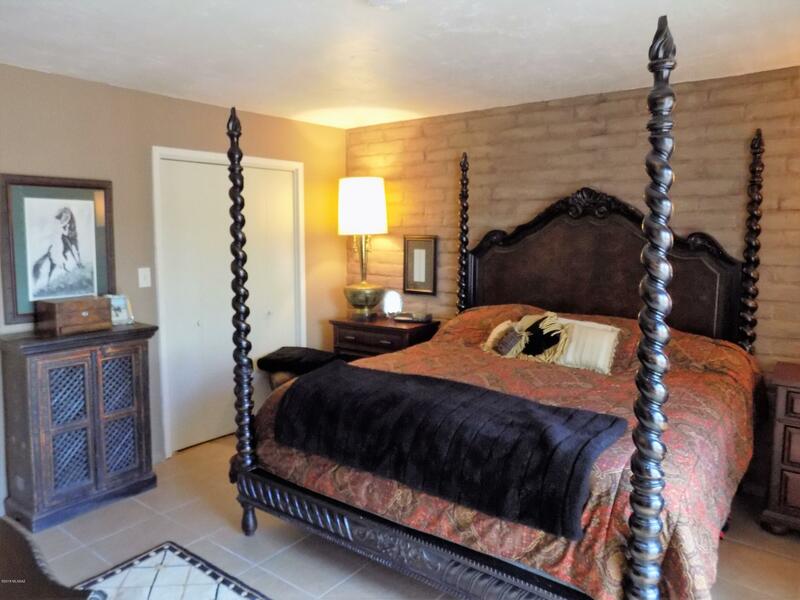 Beautiful Burnt Adobe home setting atop a bluff overlooking all of Tubac as well as the lush riparian area of the Santa Cruz River. 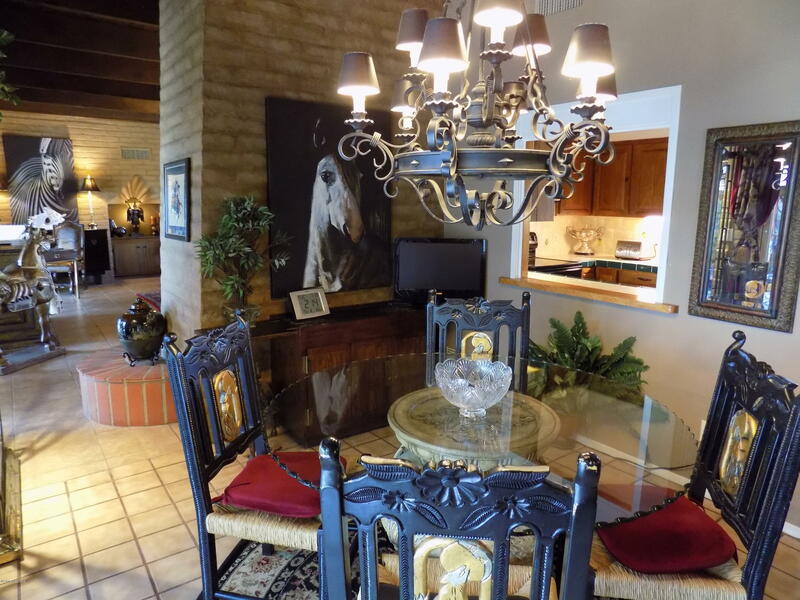 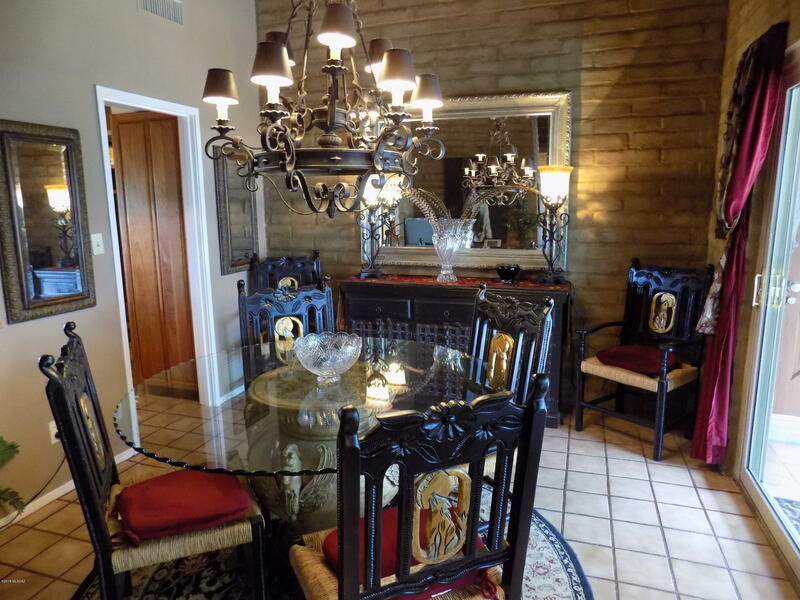 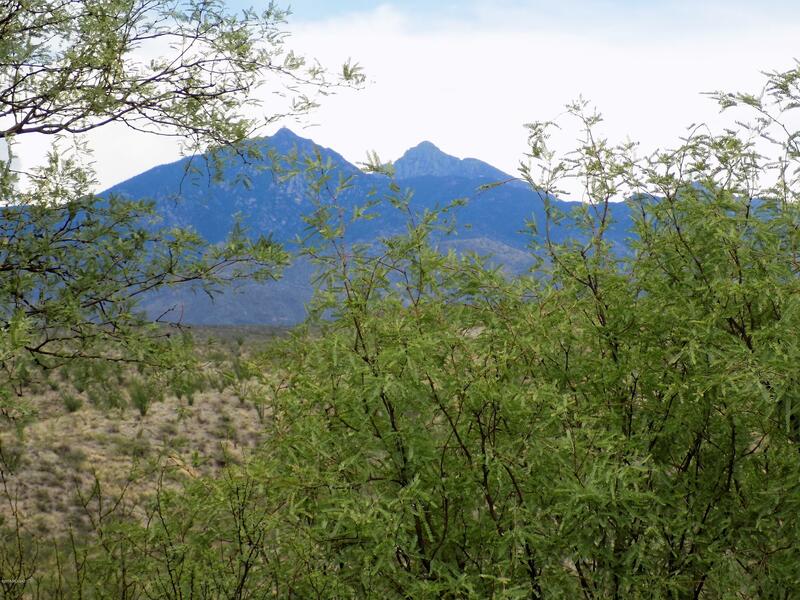 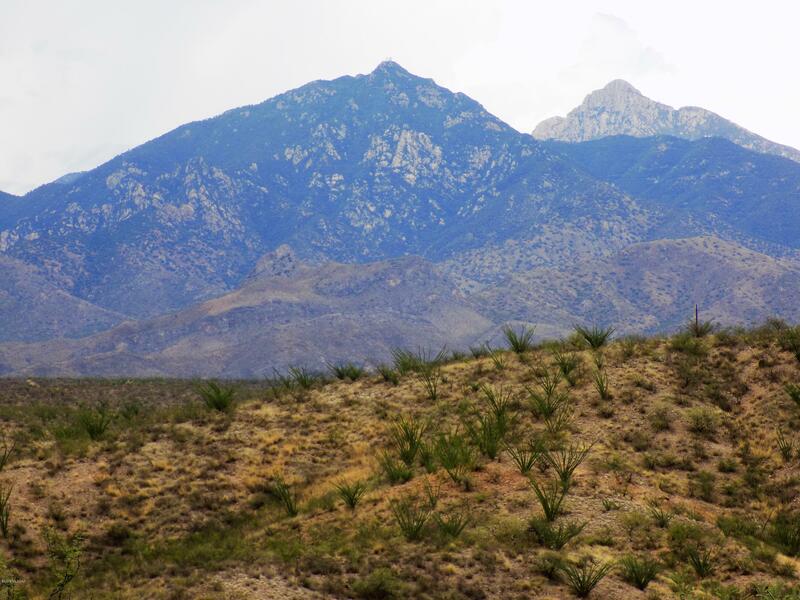 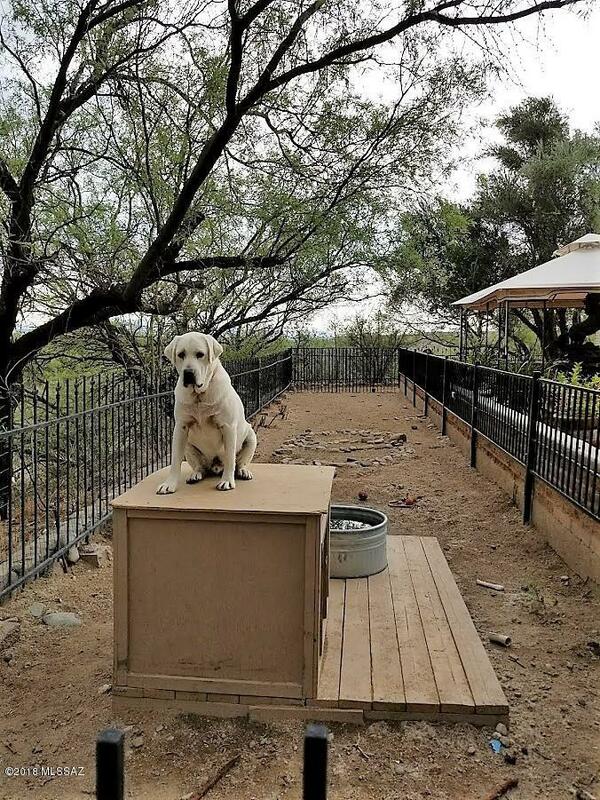 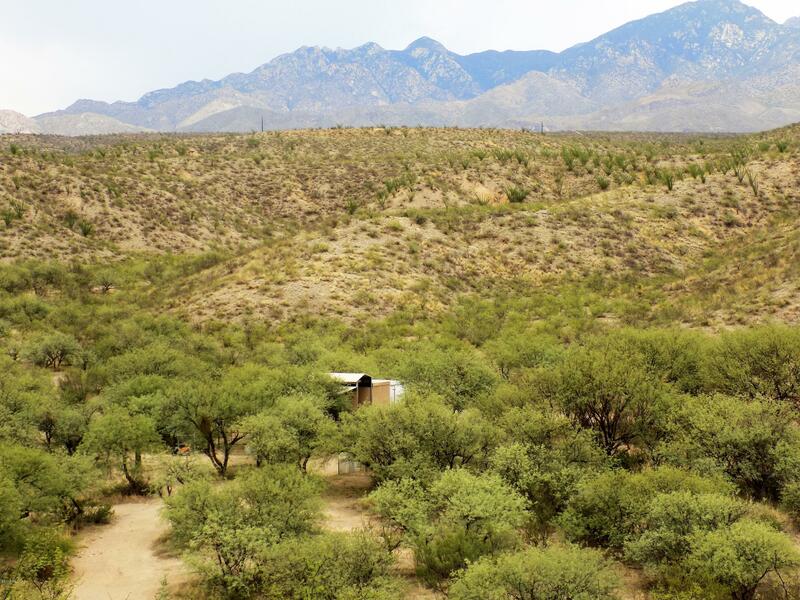 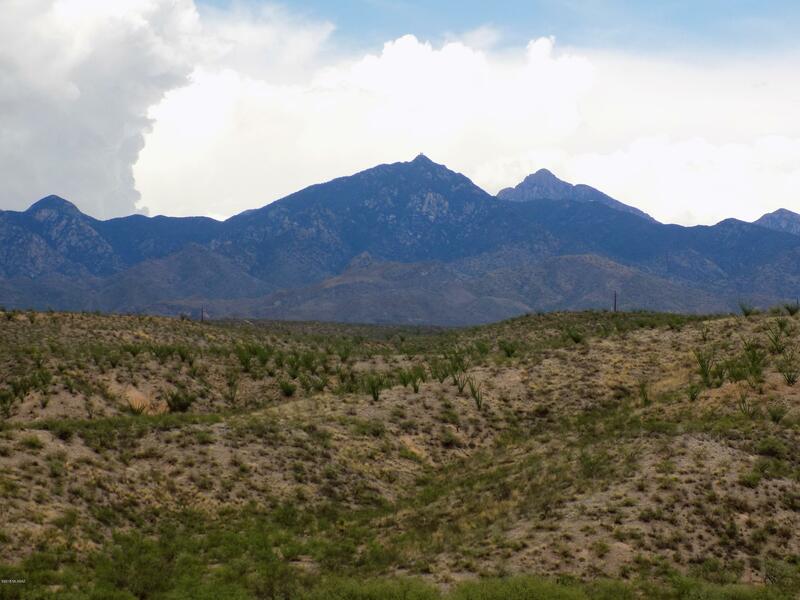 This stunning 4 bedroom 3 bath 2,839 square foot home on 14 plus acres provides tremendous privacy, yet is only minutes from the Historic Village of Tubac and the Tubac Golf Resort. 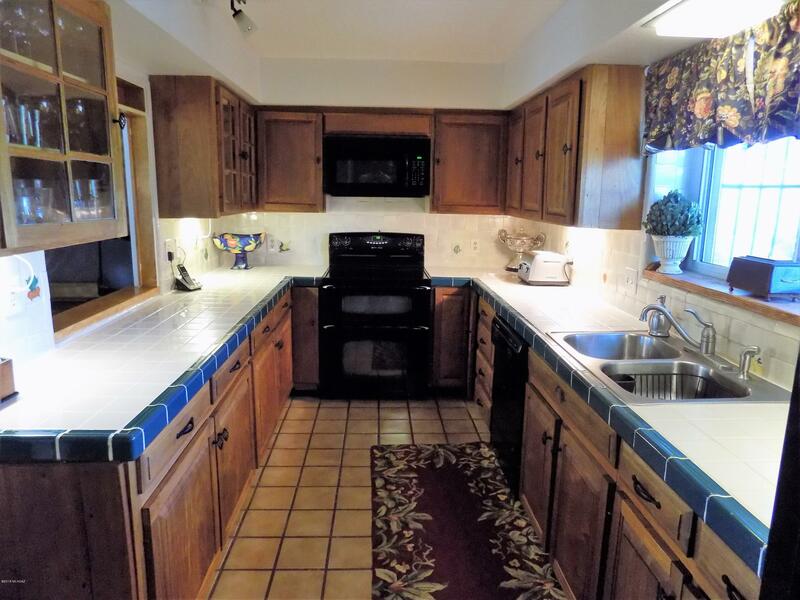 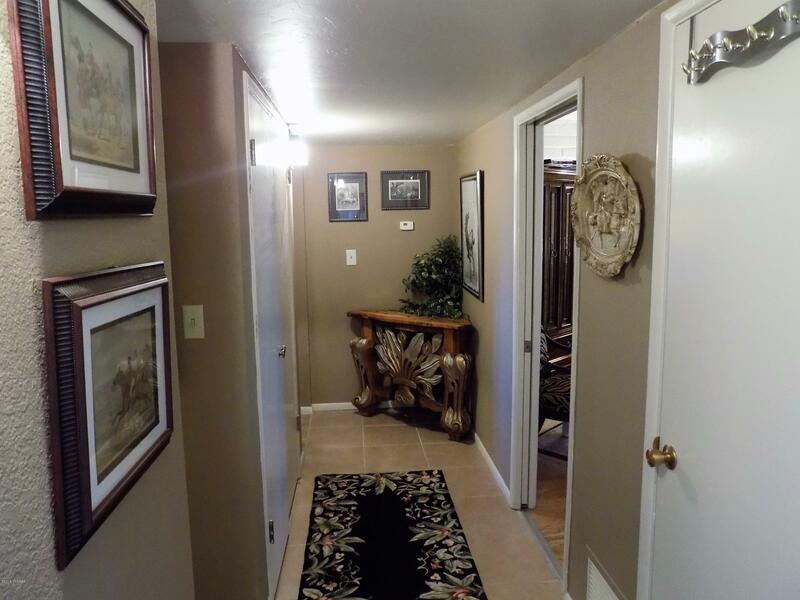 The home has been remodeled but has kept the old world look and charm you would expect in a ranch style setting. 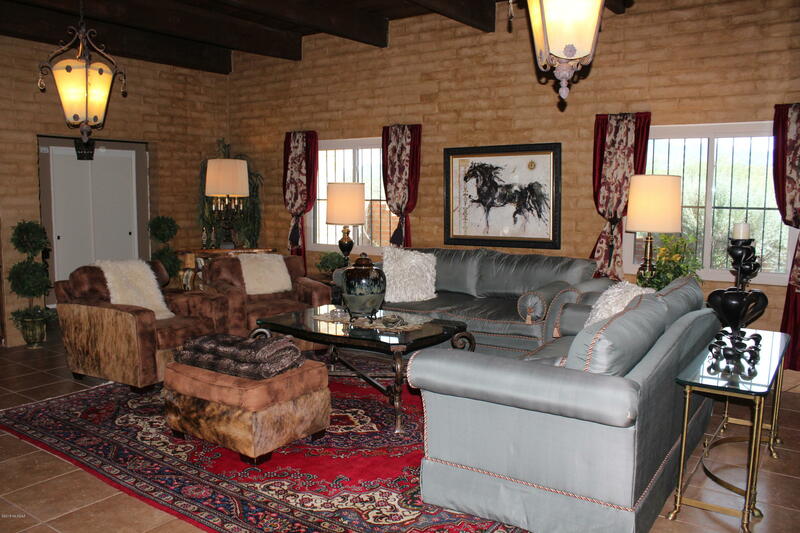 The home has a ''guest quarters'' with it's own entrance as part of the main living space. This property also features a 4 car garage that is currently being used as a garage and work studio. 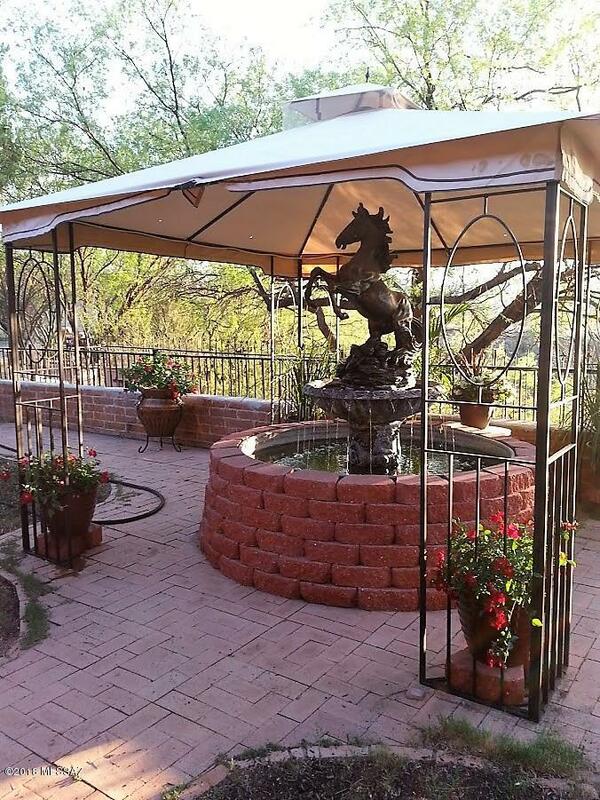 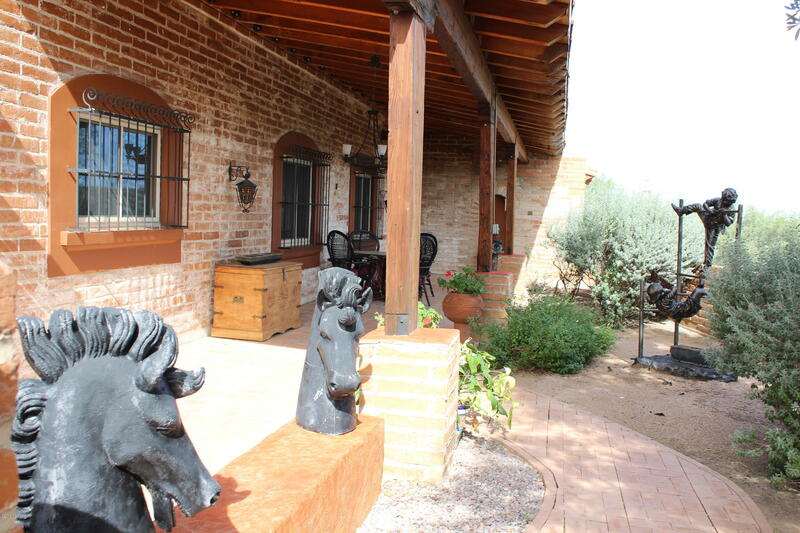 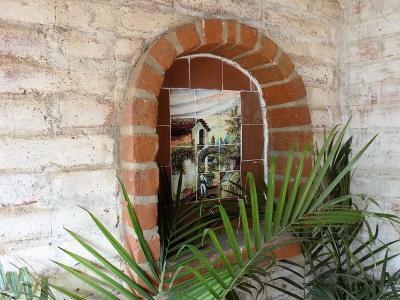 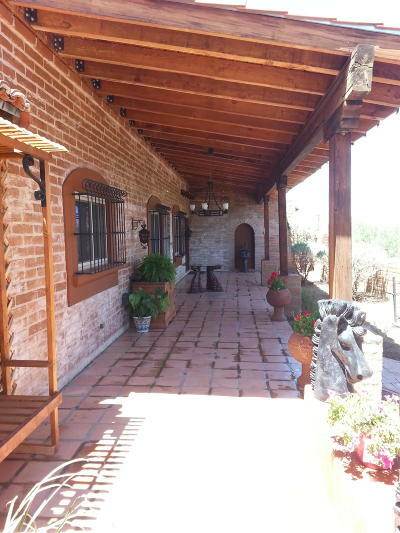 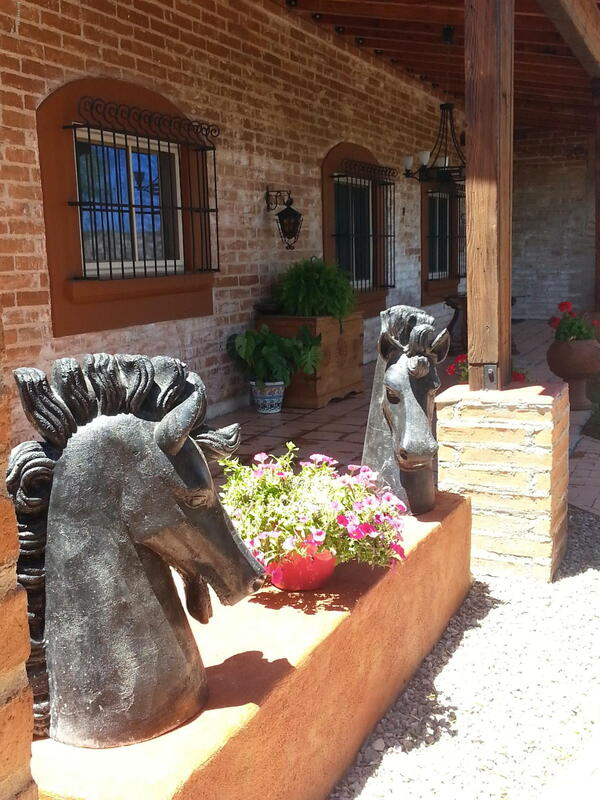 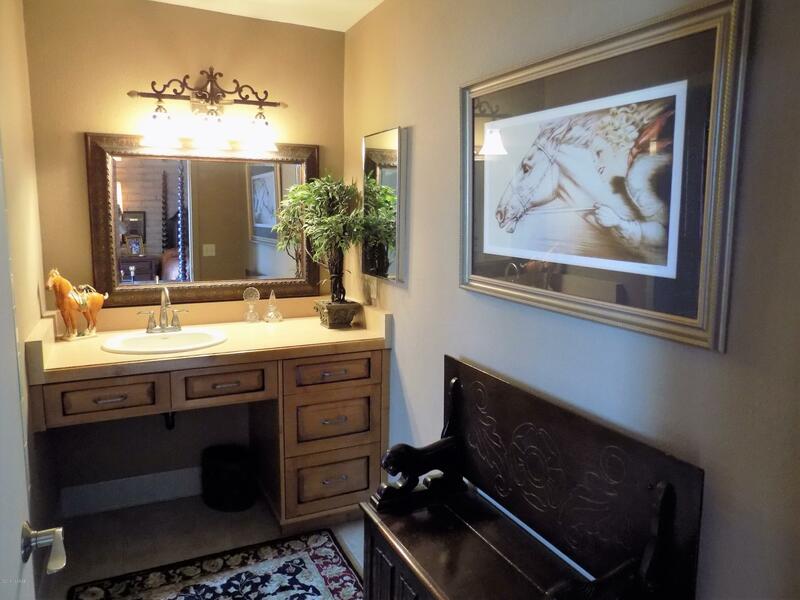 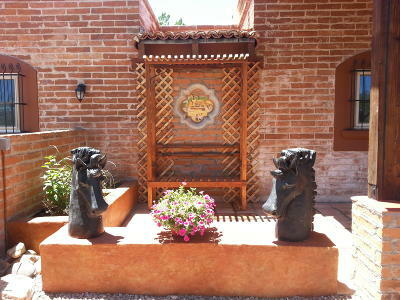 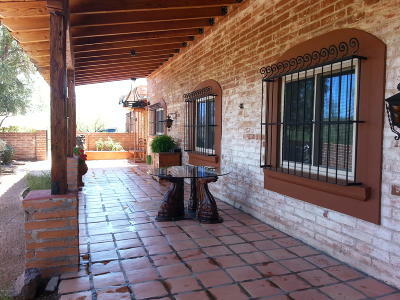 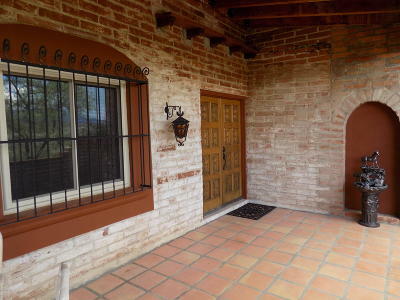 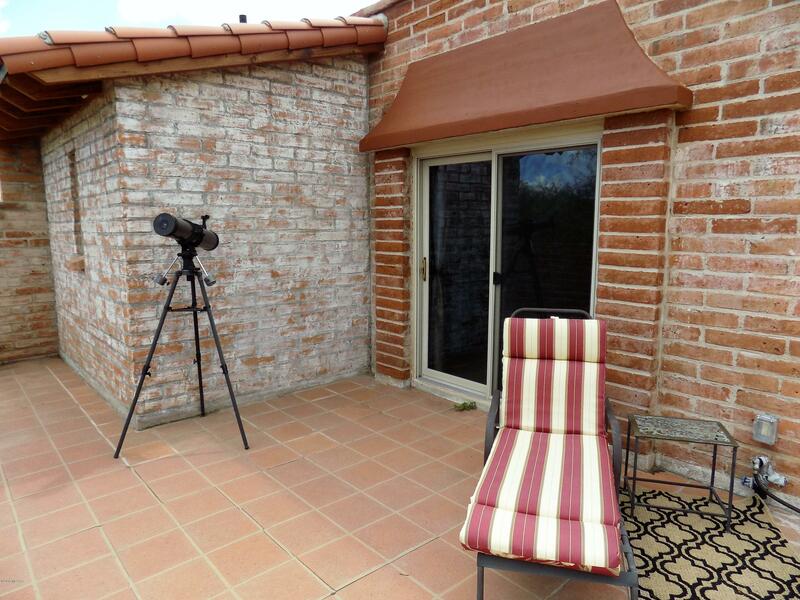 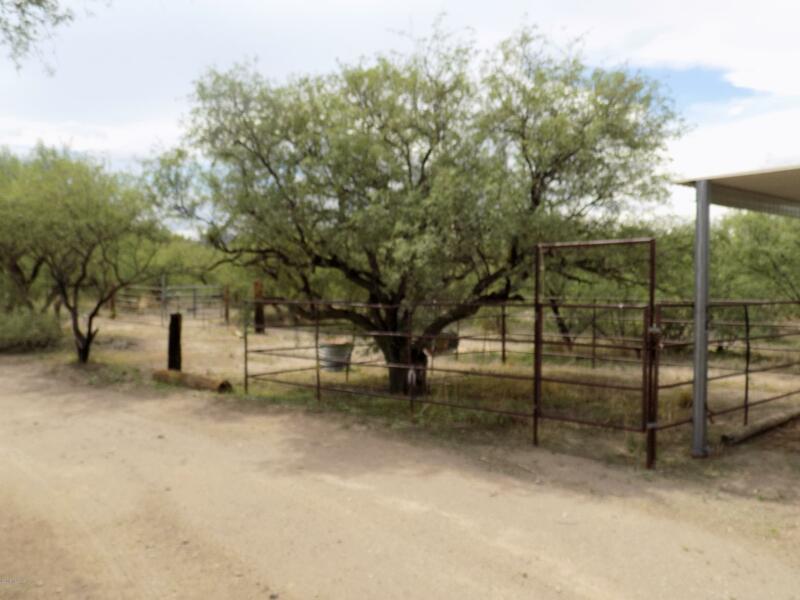 In addition, the property has an area for horses which is equipped with Power and Water. 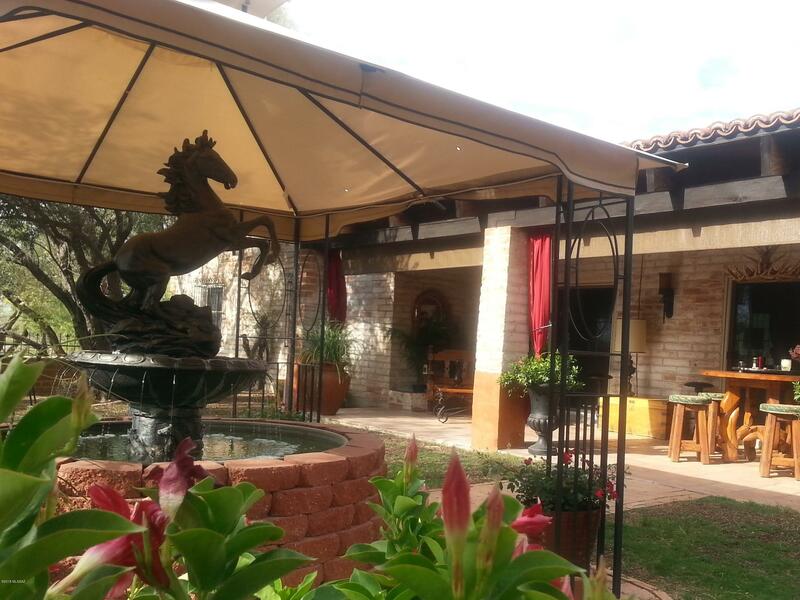 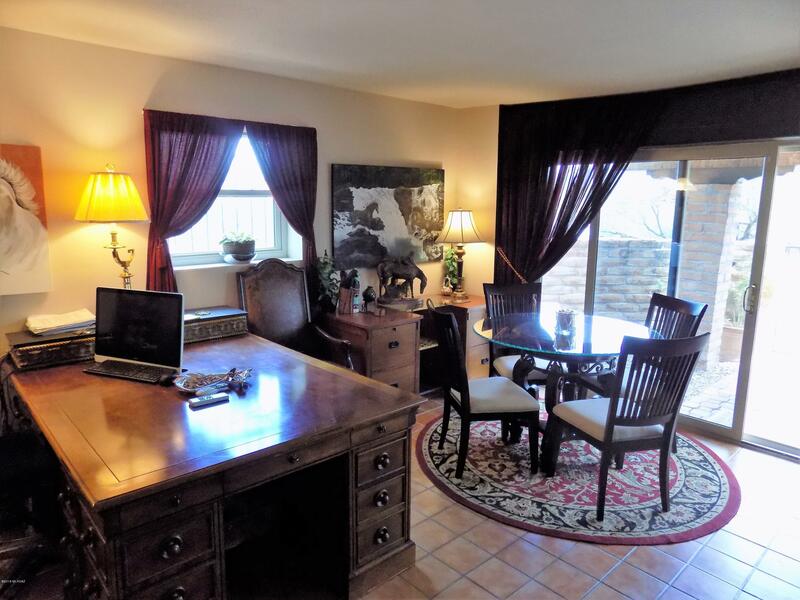 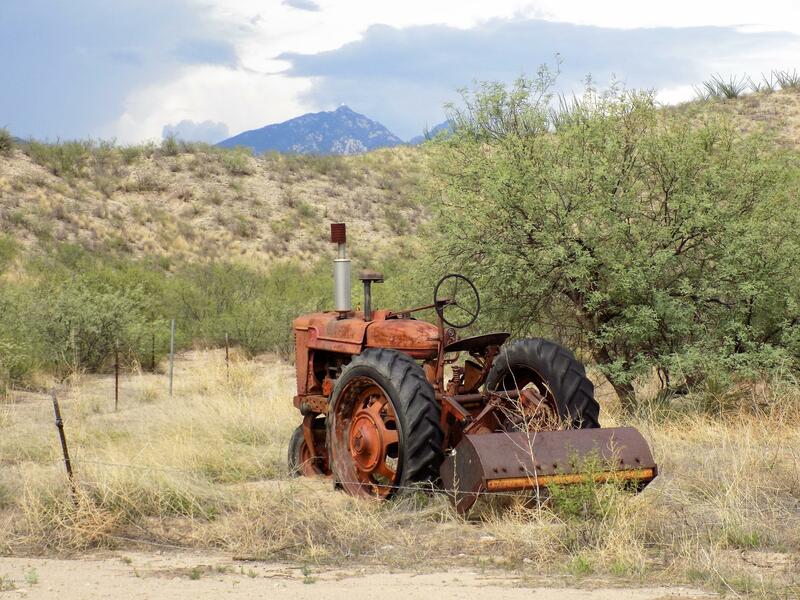 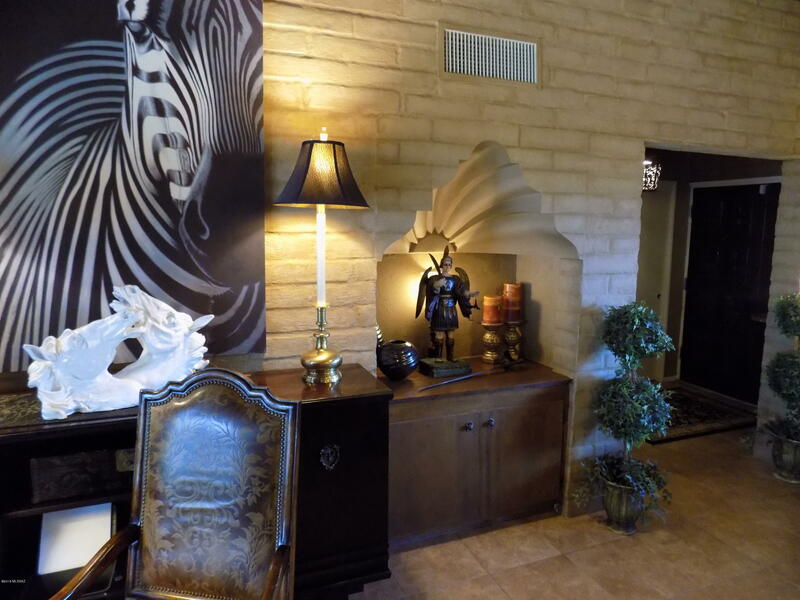 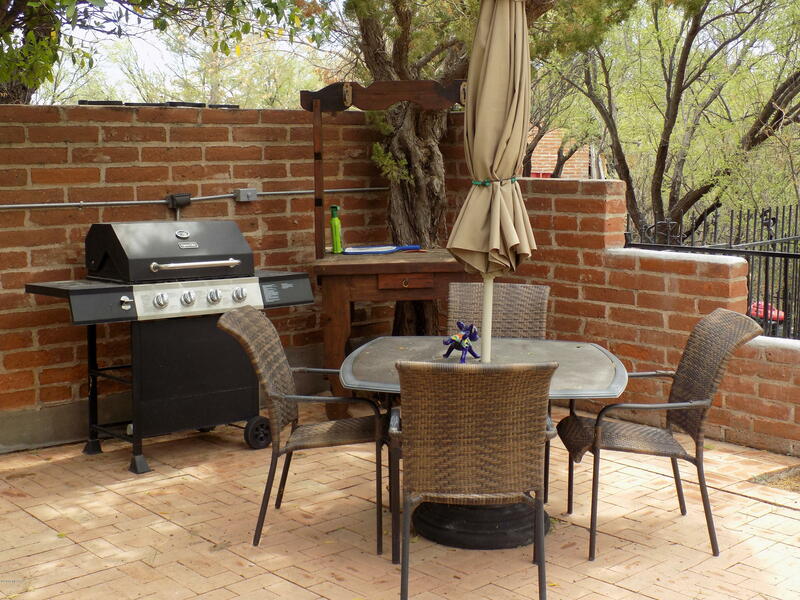 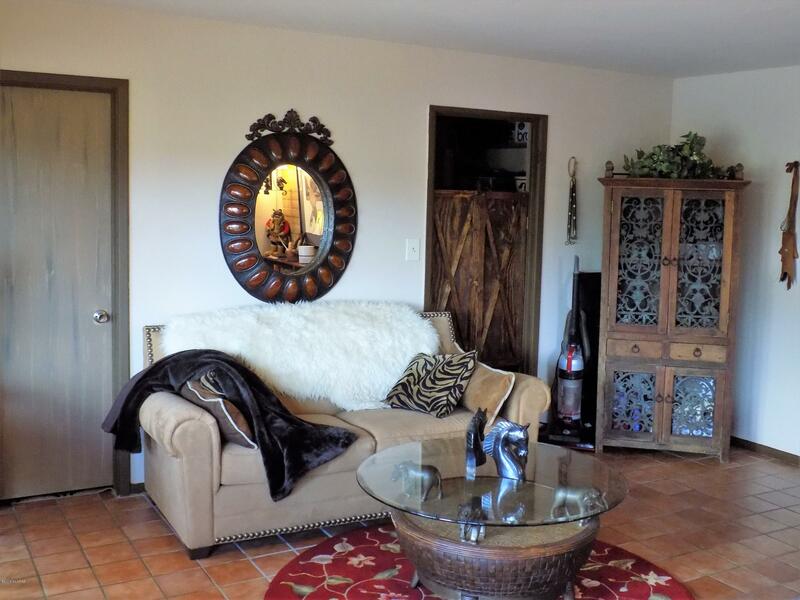 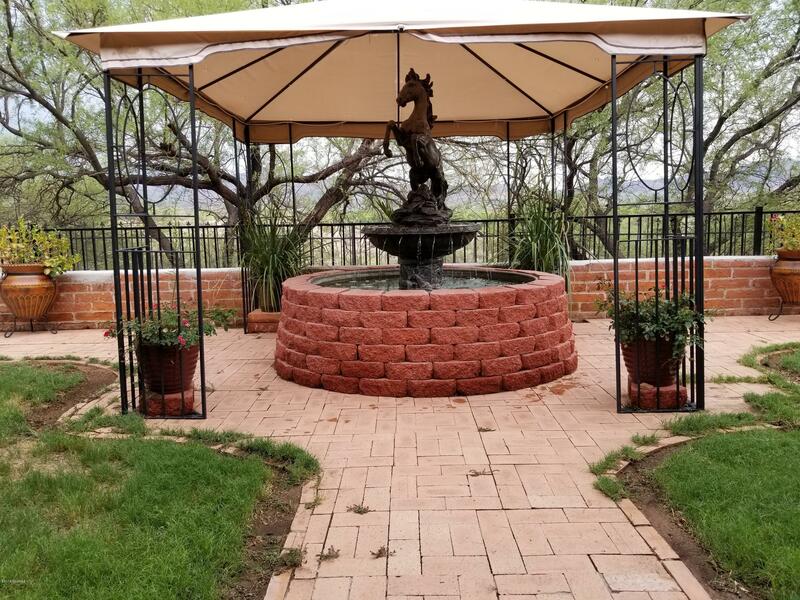 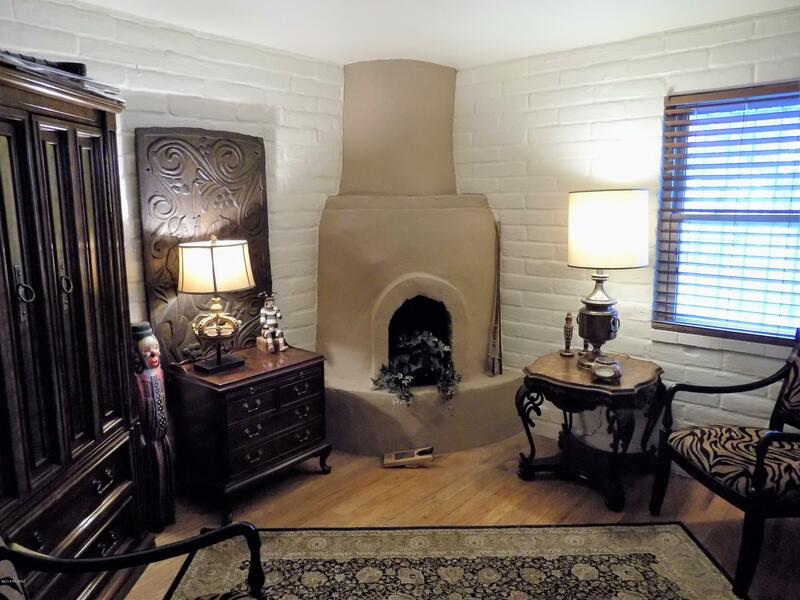 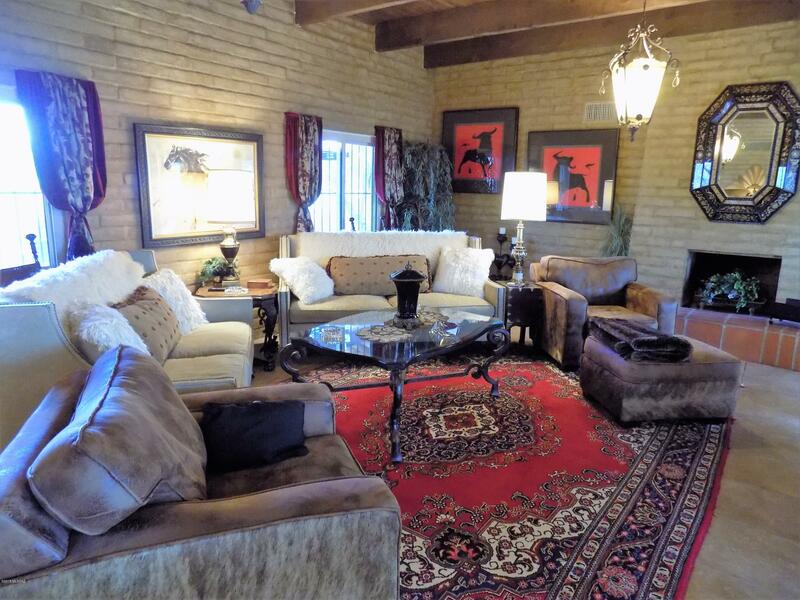 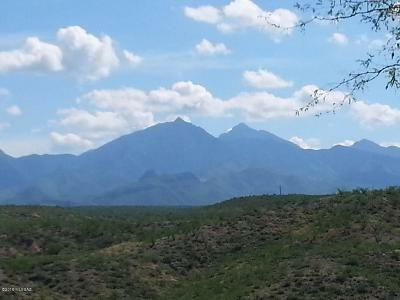 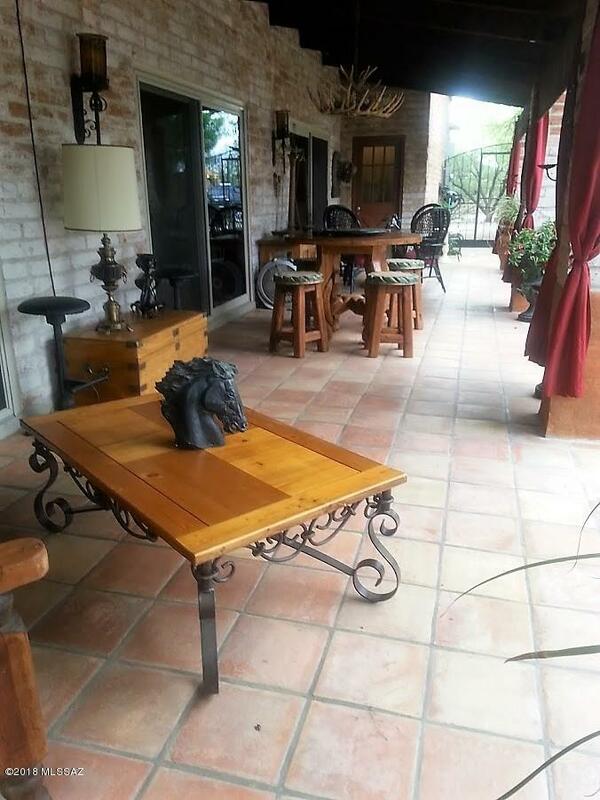 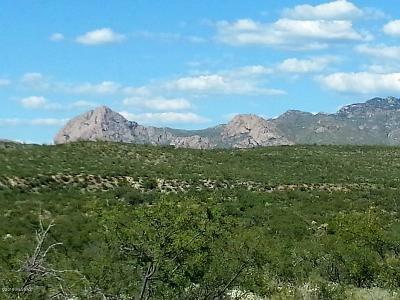 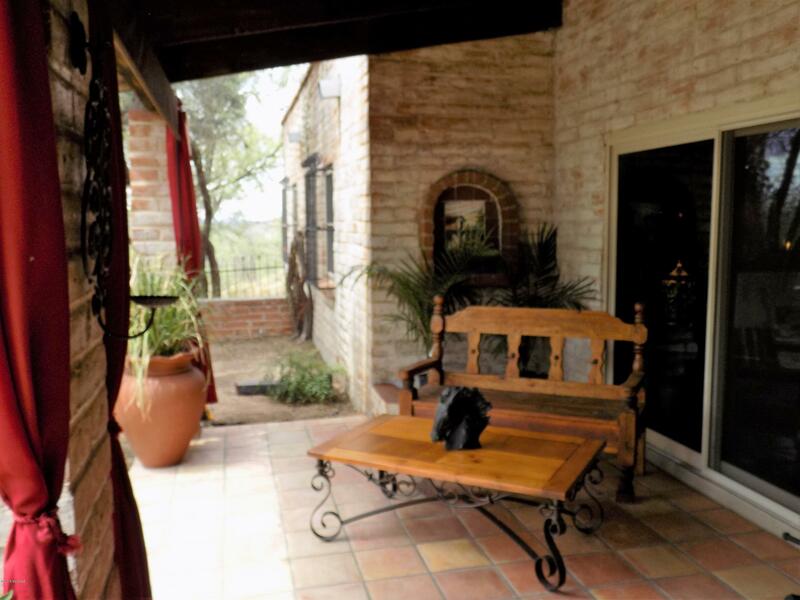 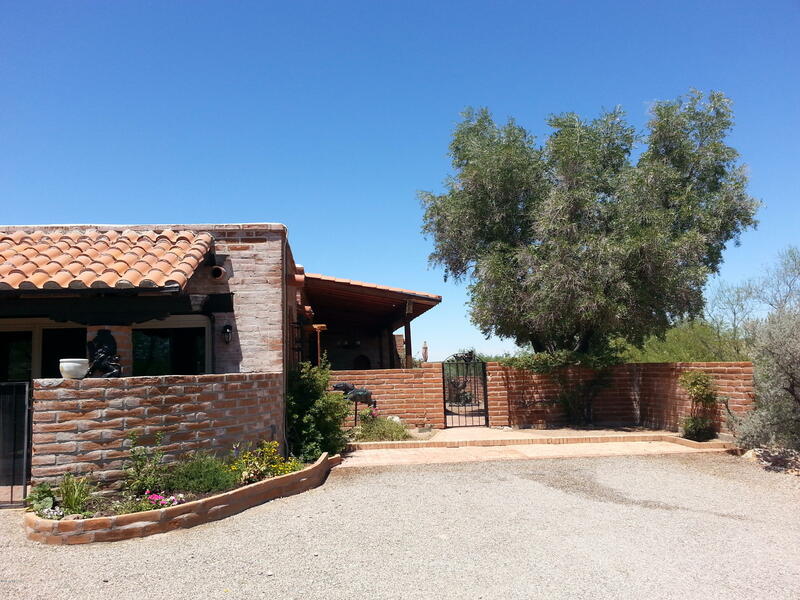 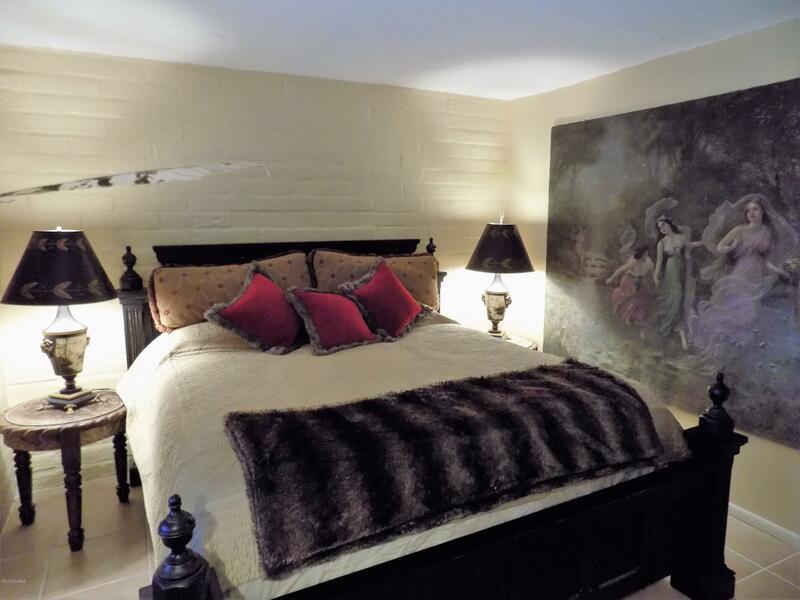 Enjoy all Tubac has to offer with this gorgeous ranch style retreat!